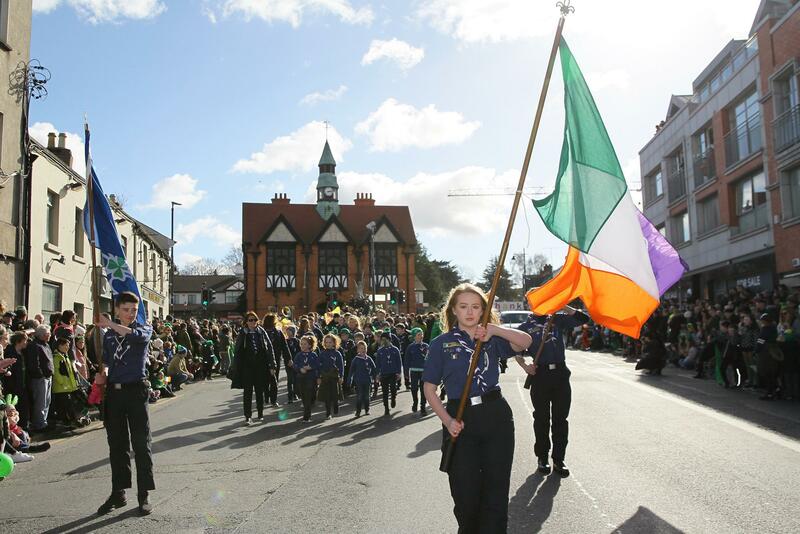 Bray was the place to be today as the town celebrated our National Day in style with another spectacular parade. From around 3 pm local residents, along with many visitors lined the parade route to catch a glimpse of the 1,500 strong participants. 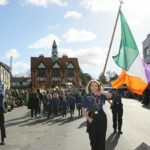 Thousands took advantage of the long-awaited spring sunshine as they were treated to the sights and sounds of marching bands, majorettes, local community, businesses, clubs and schools as they weaved their way through the town in spectacular fashion. 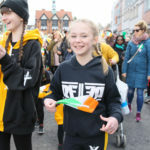 Over 40 groups took part in the parade which featured a large multicultural element, music, dance and entertainment all celebrating the spirit of St. Patrick, which started at the Town Hall and finished at the viewing stand along the Bray Seafront. Mick Glynn, Chairman of the St. Patrick’s Festival Bray Committee said ‘What a great way to celebrate our National Day. Today really has been a fantastic day. The feel-good atmosphere was created by the 1,500 strong parade participants and they deserve huge credit for putting on such a spectacular show each year. The carnival atmosphere continues here in Bray until tomorrow. Please check out bray.ie/st-patricks-day-festival/ for all the festival events’. Bird’s EuroShow will open until Bank Holiday Monday, March 18th. Top class family entertainment is guaranteed with lots of kiddie rides and family attractions. You can learn how to Irish dance on Monday, March 18th then afterwards join in with Julie Rose as she wows audiences young and old with her 'Seanie 'o & the Sugarloaf Fairy' show! The Bray Head Walk is back again this year with Bray Adventures on Monday, March 18th at 12 noon. Brian White of the Bray Cualann Historical Society will conduct a walking tour of Bray Main Street on Monday, March 18th at 3 pm. The tour will trace Bray’s links with shamrock, serpents, patriotic visitors and events that occurred in Bray during St Patrick’s week. The Bray Vintage Car Club will be showcasing some of their members beautiful classic and vintage cars on Monday, March 18th from 2 pm to 4 pm. Soak up the atmosphere over the St. Patrick’s long weekend and listen to the jigs and reels in the many venues throughout the town. Check out Bray.ie’s ‘What’s On’ guide for full live music listings. To finish the weekend off why not catch a concert by the Boomerang Brass Band (UK) as they pay tribute to the late Patrick Murphy in the Martello Hotel on Monday, March 18th at 2 pm. ‘We would like to extend a huge thank you to the many volunteers, service providers, sponsors, local businesses, families, artists, community groups and clubs who helped to make this year’s festival and parade happen. We could not have done it without you and to show our appreciation our parade prize giving ceremony will take place on Tuesday, March 26th at 7 pm at the Town Hall’, concluded Mick. Bray's St. Patrick's Festival is proudly brought to you by Bray & District Chamber of Commerce and Wicklow County Council. More information about the festival can be found at the award-winning website www.bray.ie. Keep up to date with the latest festival news by following us on Twitter https://twitter.com/bray_ieor liking us on Facebook https://www.facebook.com/braytown.